Renders are OK, but nothing makes a new product seem real like some honest to goodness product shots of the item in question out in the wild. 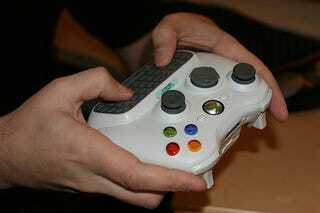 With that in mind, here's the new Xbox QWERTY Text Input Device (TID) add-on in all its actually existing glory. Our favorite four shots are below; check the source out to see the full series. 3. Milyen gyakran szoktál takarítani? 1. Milyen gyakran szoktak a harminc emelet emberei mosogatni?